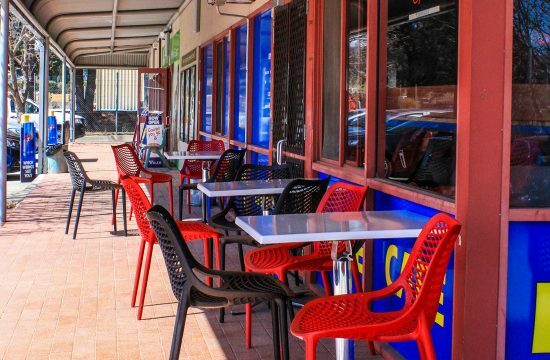 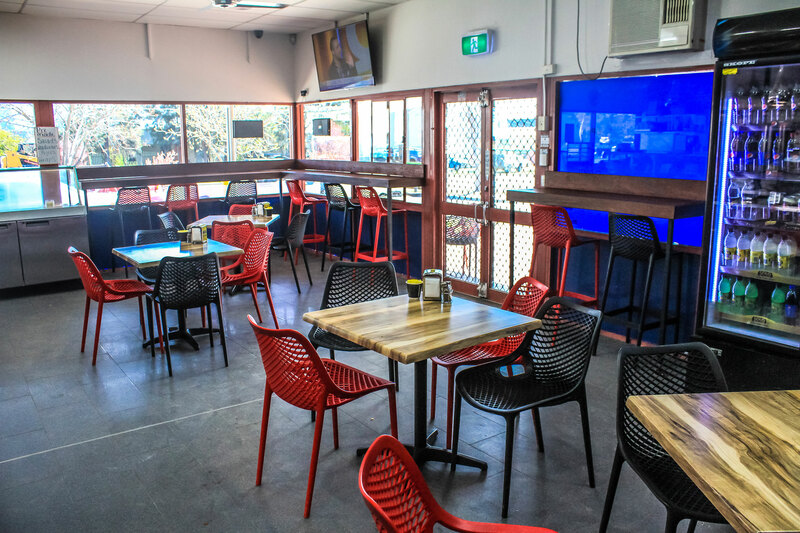 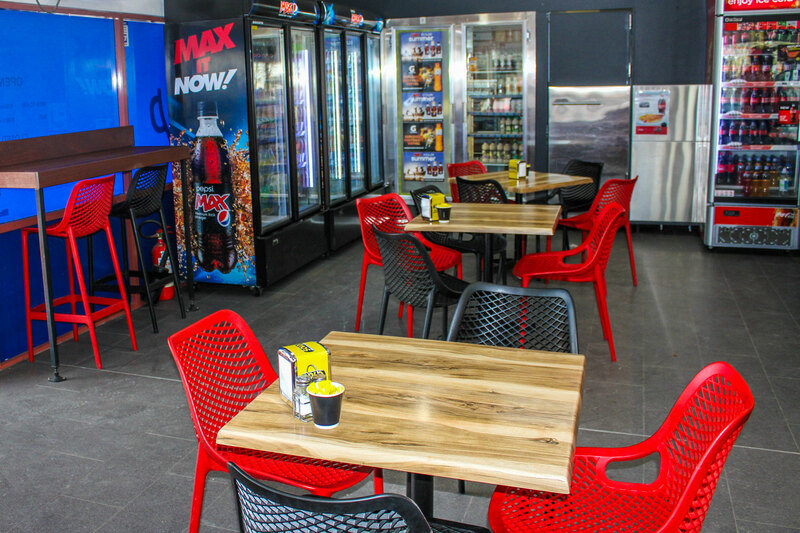 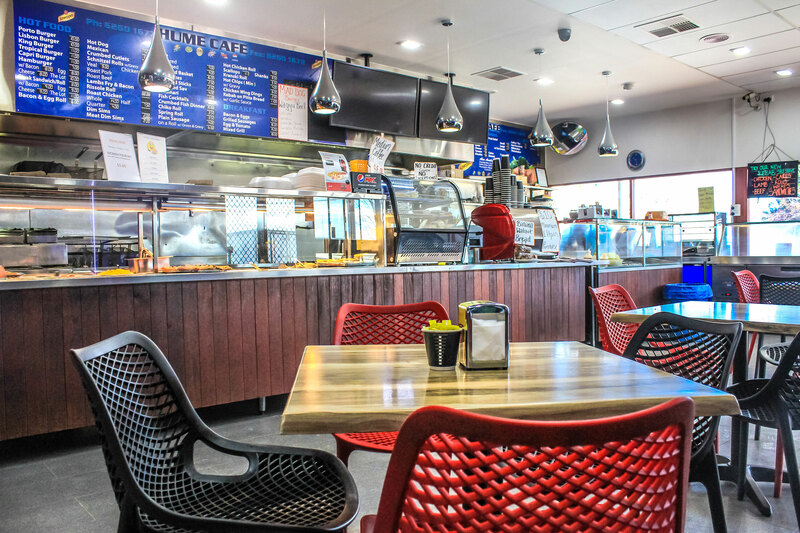 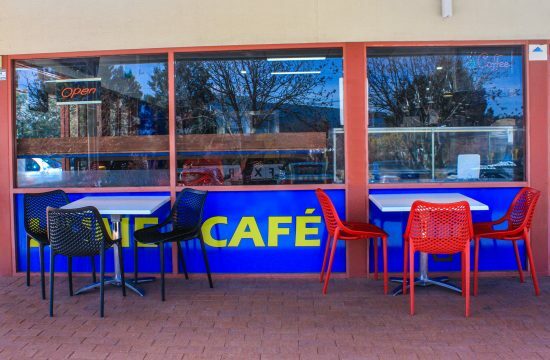 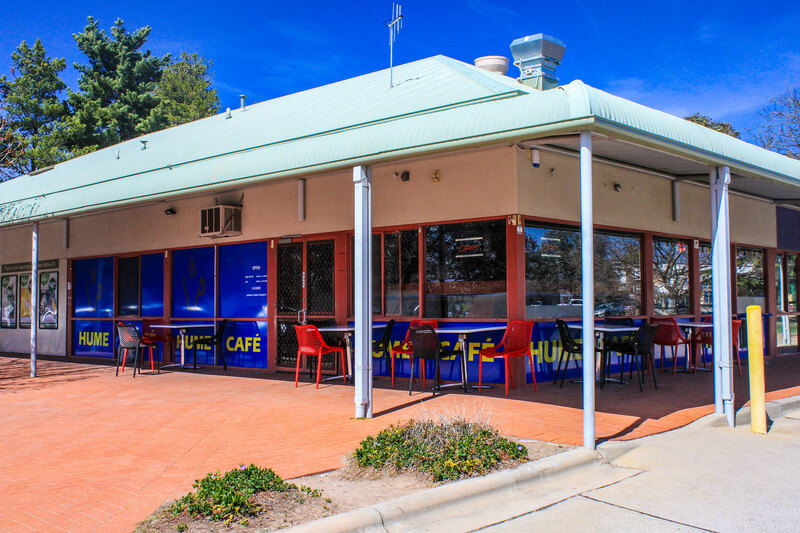 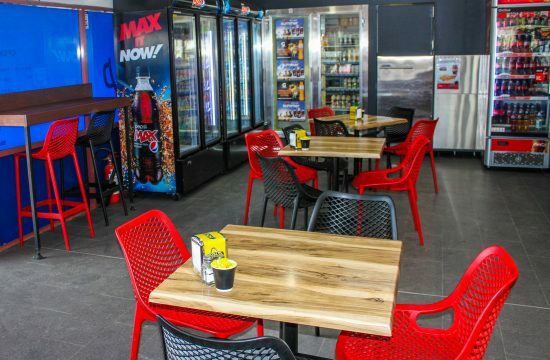 The Hume Cafe & Takeaway is situated in an Industrial area of Hume, just off the highway. 49 Sheppard St, Hume ACT 2620. Servicing the local work force as well as Highway travellers, the Hume Cafe provides a great range of Takeaway foods and a decent coffee. 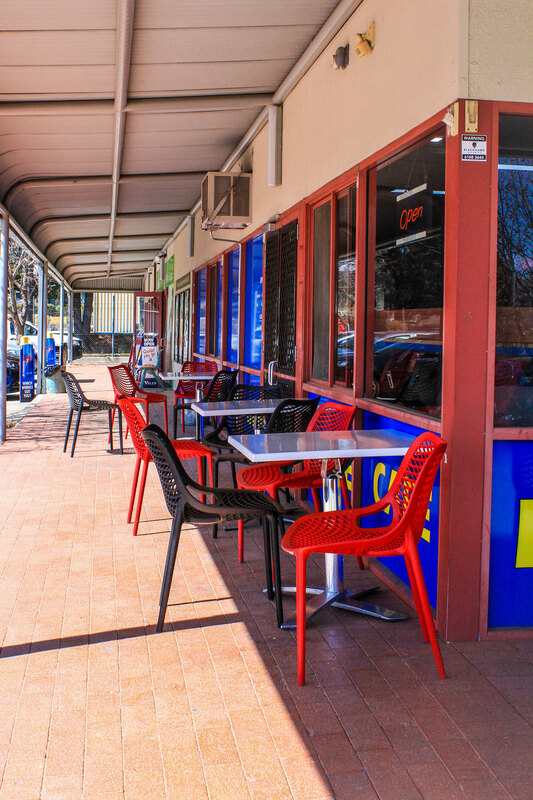 Hume is a suburb of Canberra in the district of Jerrabomberra. 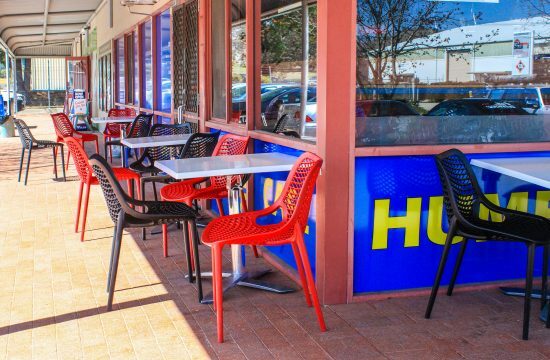 The suburb is named after the explorer Hamilton Hume and streets are named after Australian industrialists and businessmen. 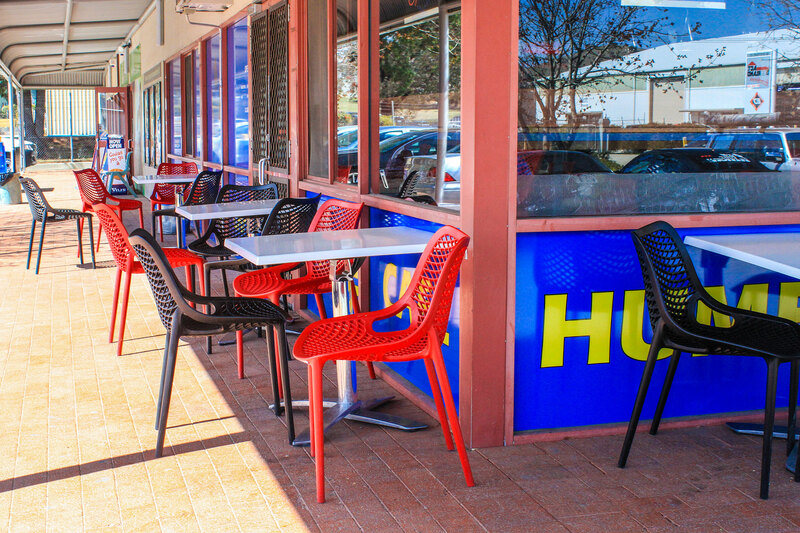 Hume is a light-industrial suburb and there is no significant housing development. 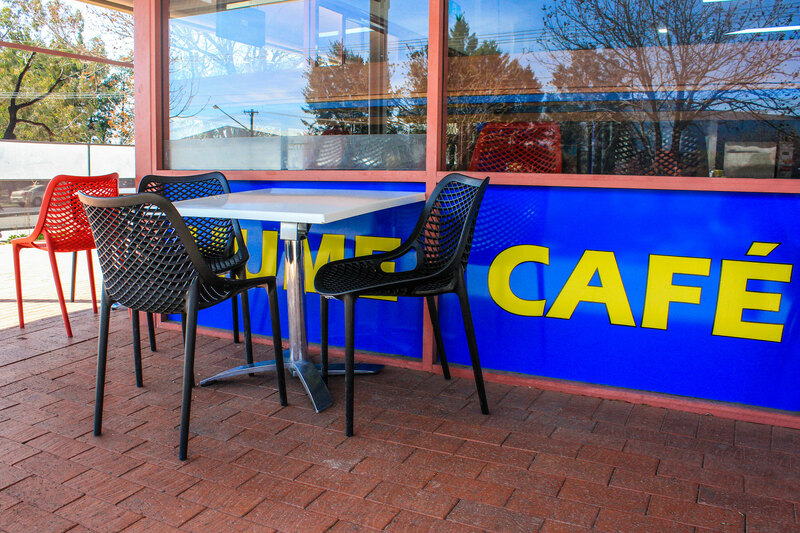 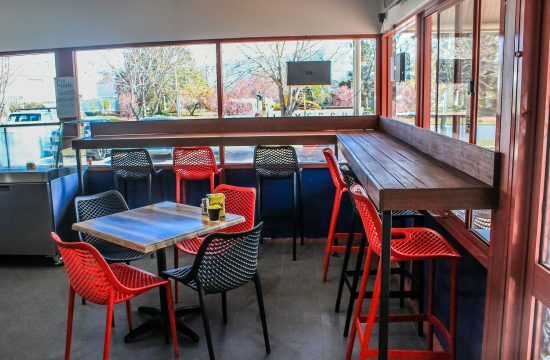 Nextrend Furniture worked with the Hume Cafe to fit out their internal and external dining areas. Providing black and red air chairs and barstools these were matched with black Astoria table bases with Gentas Shesman Duratops.